And welcome back to Sunday 7! I’m feeling a little rusty after my break… and I do mean rusty: I have the colour “rust” on my brain. You will see this colour described as ginger, dark camel, burnt orange, conker (yes seriously) to name but a few… but I’m a simple 70s kid, and this colour was always described as ‘rust’ when I was little. So apparently, the 70s are being given a wee ‘nod’ this season & this shade of brown was a particular favourite in the 70s; it’s not a shade of brown which suits everyone… in fact, unless I’m wearing proper-proper make-up (rather than just my usual bag cream & mascara), “rust” isn’t a colour which looks brilliant against my face. But you don’t have to wear it against your face all the time! Now I bought the petite size 6 which is true-ish to size… come up a teensy bit big, but not enough to have to size down… oh and the skirt is still available in the clearance section of Next online, but seems to have been put back up to £18?! 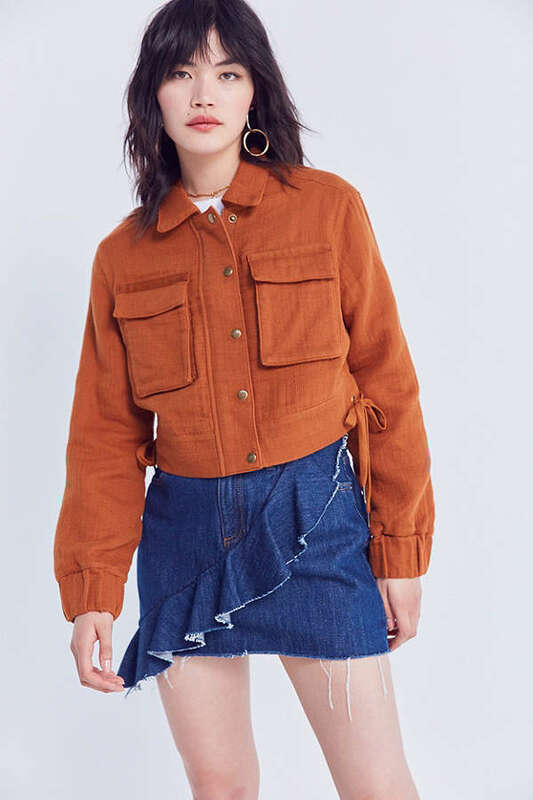 No prizes for guessing that this jacket loses points because it only seems to be available on the US site at the mo… but, whilst rust may well (apparently) be an “it” colour… there are actually slim pickings out there currently. And then I realised I was on the USA UO site. Our UK urban outfitters site doesn’t seem to have most of the stock yet… but if it’s your thing, keep an eye out for updates as the uk site does eventually catch-up. 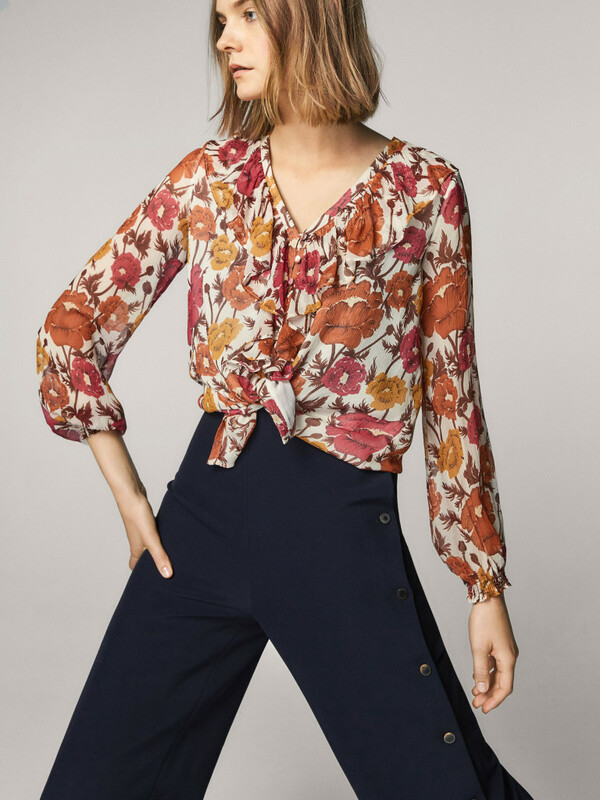 If you’re interested in dabbling in the camel/caramel/mayple syrup/honey-ish rust brown, but aren’t too sure about it… this Massimo Dutti floral shirt would be a gentle way to ease yourself in to the colour. The pinky-reds in the shirt soften things up and would work with most skin tones. I really like the look of it, although I don’t really like the price tag given how skint I am at the mo. There is also a dress available in the same print but I prefer the blouse. 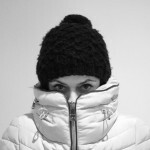 Love me a good clean crombie coat! 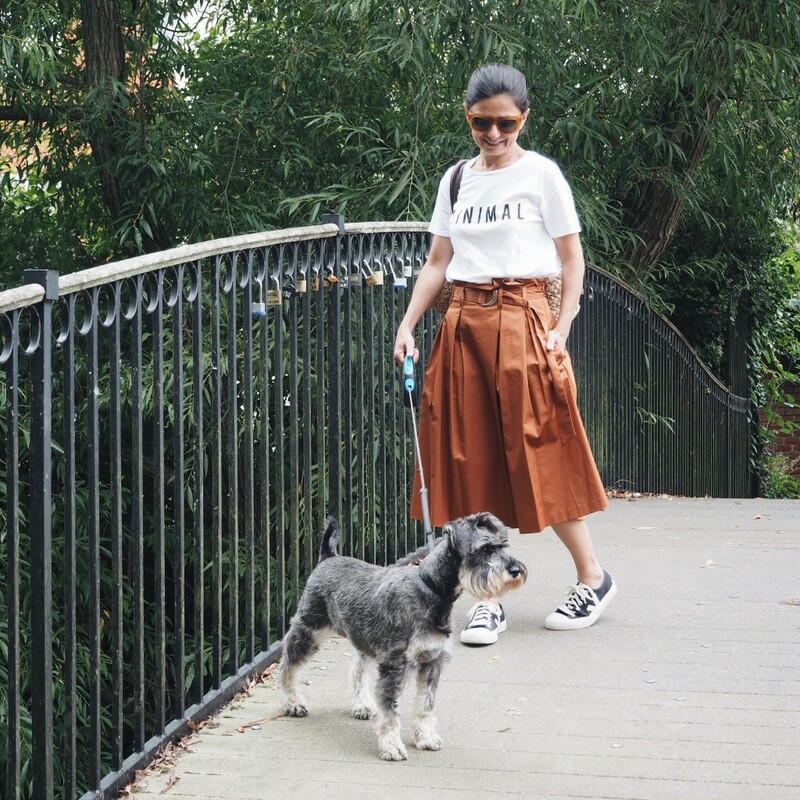 This one, from Warehouse (which also features in the Pandora Sykes Curated edit) is just a most lovely shade of brown (which is most definitely *not* what I would describe as camel – the colour name given online by warehouse), and of course, I love the clean lines! I’m also really appreciating the classic pockets rather than the zipped pockets which were featured so heavily on most of the crombie’s last year. Nothing wrong with zipped pockets, but they didn’t work on this style of coat for me. Had I not taken my eye off online browsing, I might just have seen these when my size was in stock, and I might just be sporting them round about now. Unfortunately, I did go away on holiday. One where I didn’t look online really, and I have been caught up in researching necessary bits and bobs for house renovations since returning from holiday, so sadly, it appears I’ve missed the boat on these as there are only limited sizes available online. 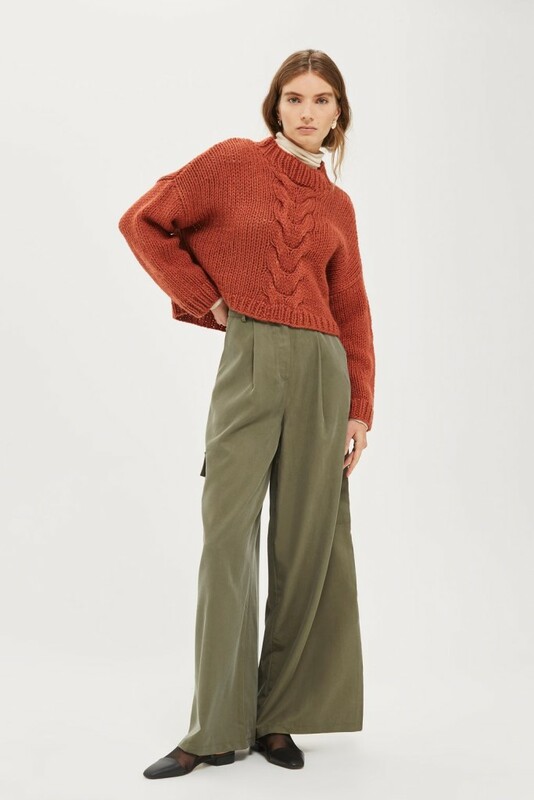 Having done a quick check of availability in-store, the trousers do seem to be available in most larger Topshop stores in bigger cities. I’m heading into London in a couple of weeks for a hen-do so if there’s time I might try and scout a pair of these out – they tick a great many boxes for me: love them! 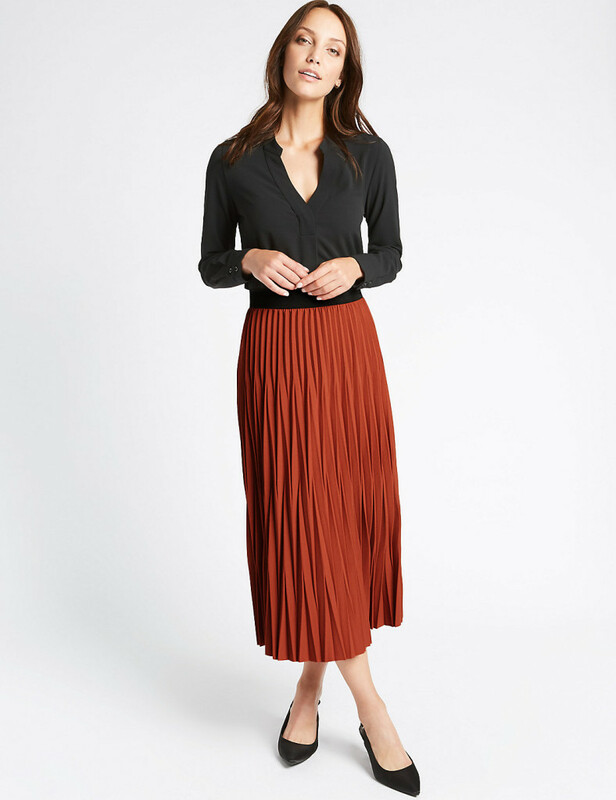 This is a great value for money skirt from M&S. Now this isn’t a skirt I could carry off given my lack of height… although someone recently told me that M&S do stock some items in different lengths – which is news to me! Not that it matters on this particular skirt because I can’t see anything about it being available in anything other than the one length. Now, a word of caution about this skirt: I’ve included it because I like the colour and I think it would work really well with an oversized loose knit or baggy sweatshirt & sneakers… however, it is most definitely also a skirt that could look pretty “meh” and frumpy if worn with the wrong shoes / blouse etc. I already have a pair of H&M Premium (no less!) 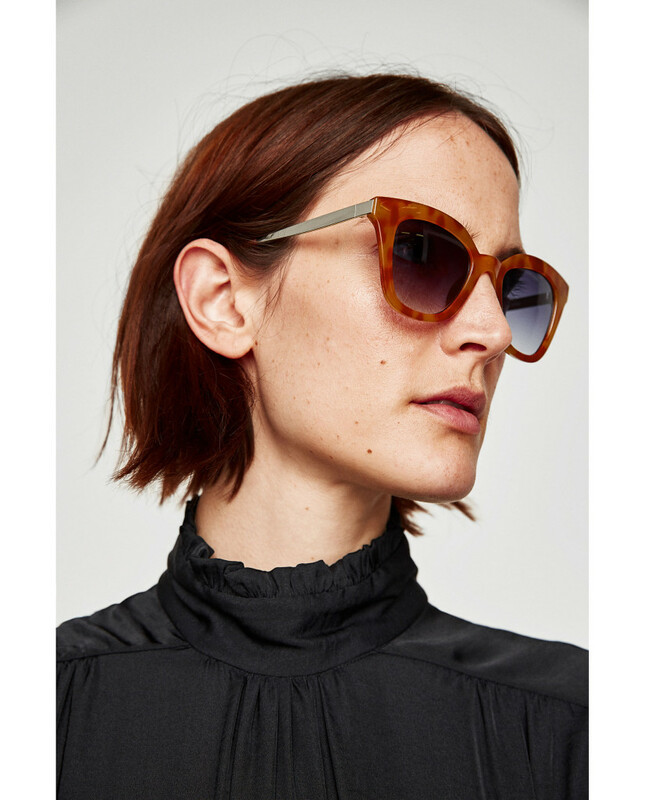 Caramel framed sunnies which I bought a few months back… however, these are a different shape, and have silver/metal arms, so they’d be a justifiable purchase, right? Again, I’m hoping to find myself near an actual real Zara store in the coming week or so, and will be trying a pair on… I have a pea-head so there’s always the possibility that they will simply slide straight off my face. If, however, they don’t slide off and do fit… I might just be treating myself to these! And are you ready for the first ‘back from holidays numero uno’? I know – cheating slightly here as it’s just a ‘slogan white tee’. Except it’s not just a slogan… it’s a slogan in rust! 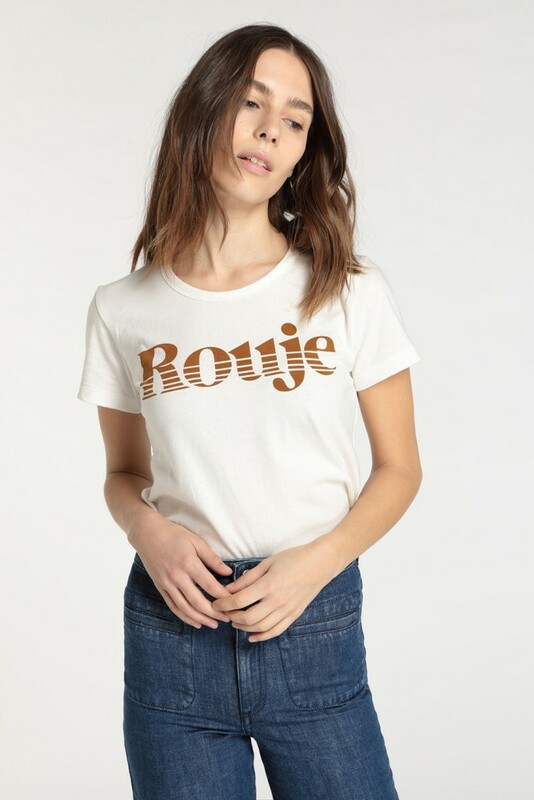 I’d had my eye on the red-slogan version of this tee but the two things which stopped me from ordering it were the price & that the actual colour of the t-shirt would probably really wash me out. However, the rust-slogan version isn’t beige, it’s ecru… so possibly better for me: how fabulous would it look with my ginger skirt?! BUT… I am not going to buy it. And not after my laundry disaster on Friday: the black piping of a predominantly white (with cactus print) bedding set (from made.com) colour ran onto an entire machine load of whites… which I’m incredibly frustrated about given I only ever wash at 30 degrees. Included in the machine load were some 9 of my husbands bog standard white gap tee’s (mostly new – just a month old), another bedding set (again, new) and my rather expensive Sezane ‘la femme’ tee, plus another pricey Etre Cecile t-shirt and bizarrely the top I’m most upset about losing is my Boden Breton. The Breton is one I bought from Boden last summer, so still would have had plenty of life in it… and although Boden do Breton’s every year, they have changed their cut since last year to be much longer in the sleeve and body so the Breton’s are a no go for me. Anyway, it’s just clothes right? No one got hurt, right? Though… it does somehow hurt to think you’ve wrecked £300 – £350 worth of clothing/bedding. 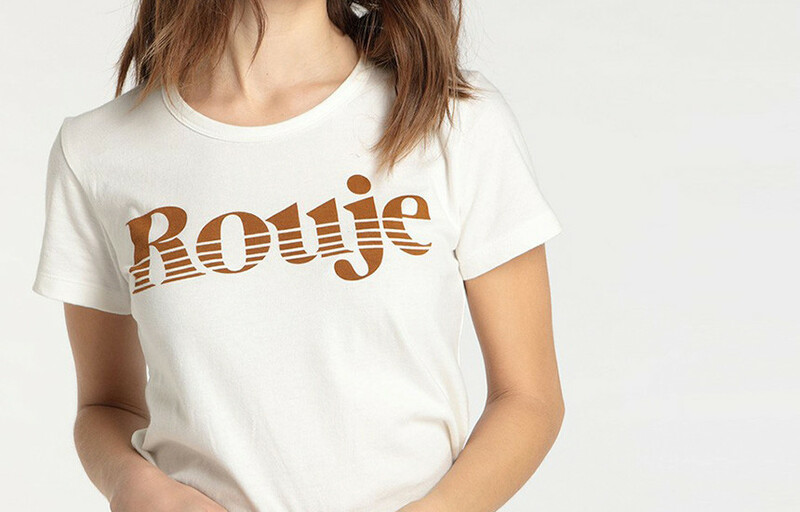 Having just typed all that out… I wouldn’t mind one of these Rouje T-shirts though! So as mentioned earlier, it’s been slim rusty-pickings… and no doubt there are items out there which are far worse in the ‘crimes against fashion’ stakes, but… I’ve chosen this cropped sweater. 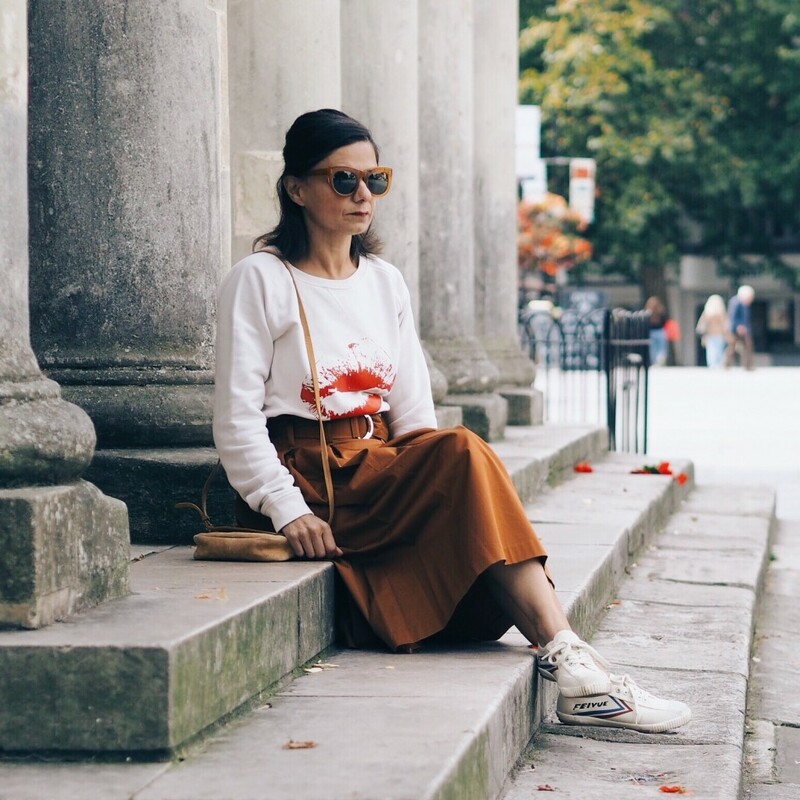 And it’s not because it’s cropped: crop knits aren’t everyone’s cup of tea but they can look great when worn with high-waisted trousers or skirts, and I don’t mind them at all. No, it’s not because it’s cropped: this sweater is awarded stinker of the week for the simple reason that I happen to think that £60 for a predominantly (87%) acrylic jumper is pretty out of order. And that’s really the only reason. So first off – never in a month of Sundays would I be buying these at the £499 price tag! And before you all close your tab/browser window thinking “ugh! she’s trying to get a bigger affiliate commission” – you’d be wrong. I don’t have that set up yet because I’m just a bit crap like that. Nope these are my wildcard item because I suppose I’d never imagined that I would ever be drawn to a non-jeans style of leather trousers. 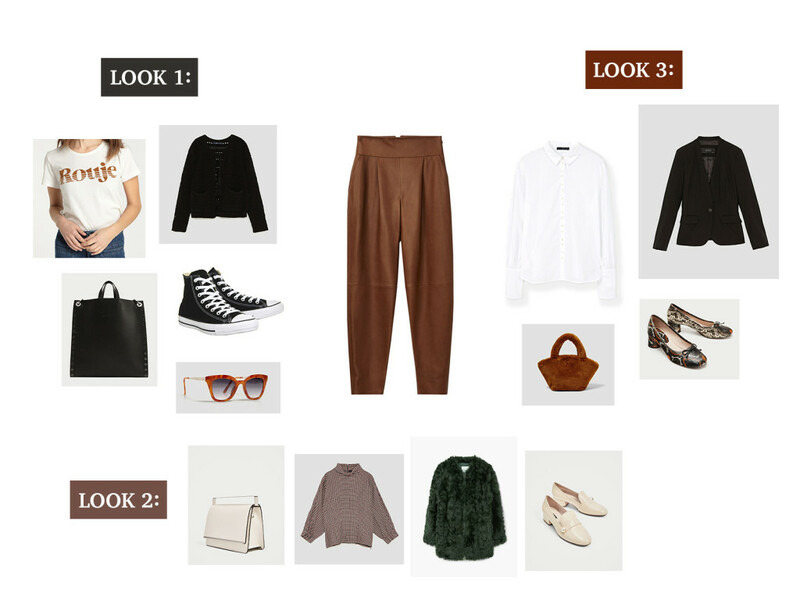 Look 2 – Matchy-matchy: So whilst most of us try and avoid being too matchy-matchy nowadays, there’s something about matching cream footwear to a boxy little bag which is so ‘Jackie O’, I kind of couldn’t resist! 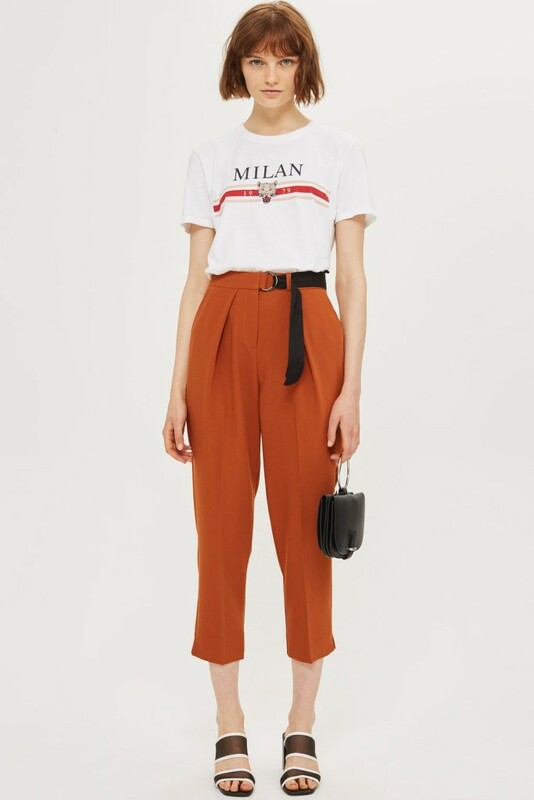 This Zara High Neck Top with Kimono Sleeves (£39.99) would work really well with the colour of the leather trousers and perfectly off-set by the cream Faux Patent Loafers with Faux Pearl (£15.99) and I’d leave the cross body strap of this little Zara bag with metal detail (£27.99) at home and carry it with the cute metal handle. Now you could go for a classic brown faux fur coat… but there’s the danger of being too brown, so perhaps something like this forest green Mango Fur Leather Coat (£339.99) might freshen things up more. Look 3 – All work & a bit of play: Smarten things up with a classic white shirt with a wee twist: this Mango Puff Sleeve shirt (which has very long cuffs – gorgeous! £35) and a classic black Zara Basic Blazer (£29.99) but you don’t wanna be OTT in the smart-stakes, so keep things a bit more “playful” (ugh! did I really just type that?! Sorry!) with this faux fur Zara Textured Bag (£19.99). You’ll have to excuse my somewhat pensive posture in this last photo – my 4 second self-timer took an eternity and I was on the verge of getting up to check what the chuffing hell was going on with camera. But, the shutter finally, finally clicked, thus capturing my mardy impatient face for all time. So, what are your thoughts on my picks this week? 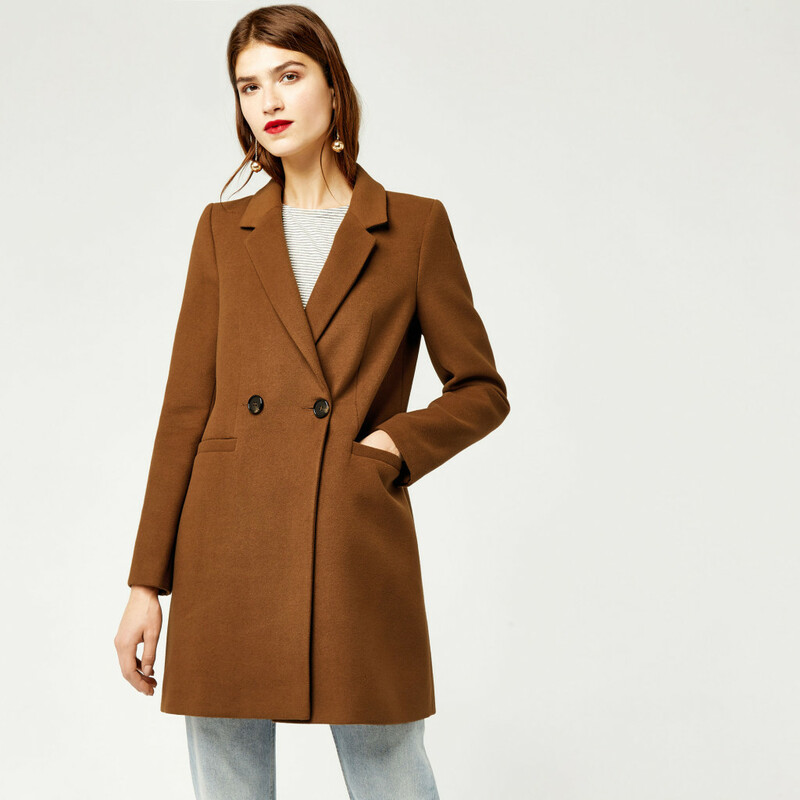 Would you wear rust – or are browns no-go for you? As always, I’d love to hear from you so just leave a comment below & I’ll get back to you.